The supply of premium fonts is increasing constantly. Aside from the big suppliers, such as Linotype and MyFonts, lots of new foundries with new, mostly unknown designers come to life. 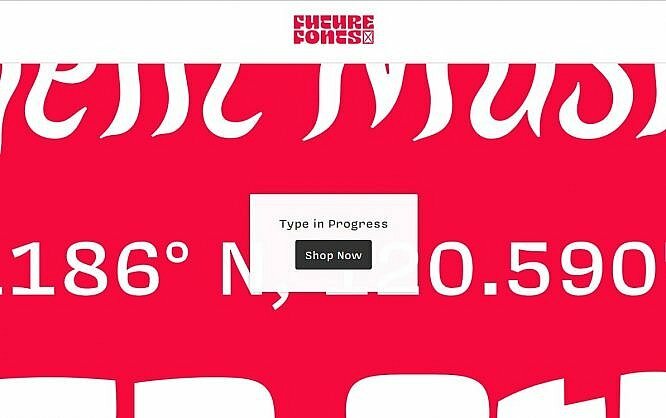 Although the prices of fonts vary depending on the provider and the designer, you may invest quite a bit to get yourself a certain arsenal of fonts. The foundry Future Fonts sports a very interesting approach. The provider makes fonts available for purchase during the development process already. This lets you buy a rather cheap font that’s not finished, but already usable. The version number tells you what stage of development a font is in. A font in version 0.1 is at the very beginning, while fonts with version 1.0 are completed. Additionally, there’s a detailed list informing you about everything you can expect from the font’s current state. It tells you about the progress of the different versions, as well as the character set. With the character set, you also learn if the font is already prepared for certain languages and their special characters. The language support depends on the font designer. Usually, the native language of the creator and all its special characters are taken care of first, before other languages receive support. There’s information on the kerning and hinting of the font as well. The kerning makes for balanced spacing between individual letters. This spacing is saved in the font, for each letter combination individually. The hinting makes for an optimal display of the font on the screen. Especially in the beginning, these important font attributes may be missing, as they are more a part of the fine-tuning process, meaning they become relevant towards the end of development. 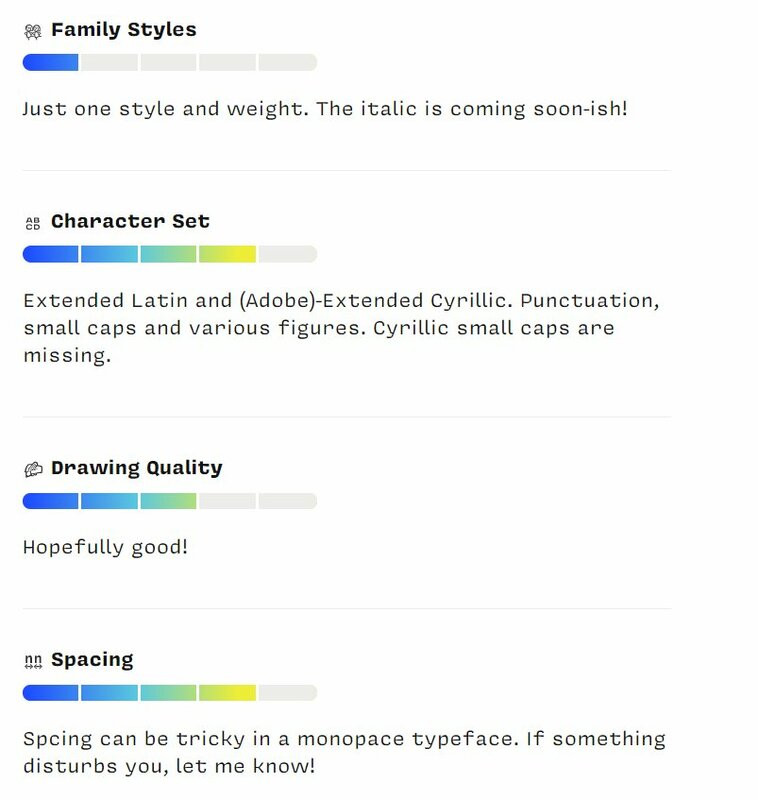 Another item in the list is the font’s character quality. It tells you whether the individual characters have already been completed, or if there are improvements to be expected. Especially in the early stages, it is probably quite common for characters to be altered visually. This brings up the question why you should buy a font that isn’t finished – possibly lacking tons of characters, or coming with unoptimized characters. If you choose to buy a font at an early stage, it will not only be a lot cheaper. You’ll also receive all following updates up to the final version for free. So, if you like a font of Future Fonts, it may very well be worth to buy it early, before having to pay the regular price of the full version. Of course, there’s the risk that you don’t like the font in its final version. However, you’ve only paid a fraction of the regular price as it is. For the developer, this concept has advantages as well. He can have plenty of designers test his font during development, allowing him to gain live feedback. Of course, it is also possible to consider requests from the test customers. Currently, the selection of Future Fonts is very manageable. At the moment, the supply includes about 20 different fonts. This includes striking fonts like “Ohno Blaceface”, or the “Macabre”. Both fonts are at the start of development, but their fresh design seems promising. There are very classic fonts that are usable for continuous text as well. These include the “Messer”, and the “Covik Sans Mono”, for instance. The “Messer” is a serif font available in the versions “regular”, “condensed”, and “italic”. As it is already in version 1.0, it costs the regular price of 99 USD. Considering it’s a font with three versions, however, that is still rather inexpensive. The “Covik Sans Mono”, on the other hand, is only in version 0.1, and will already cost you 90 USD. You can expect the price to go up significantly over the course of the font’s development. 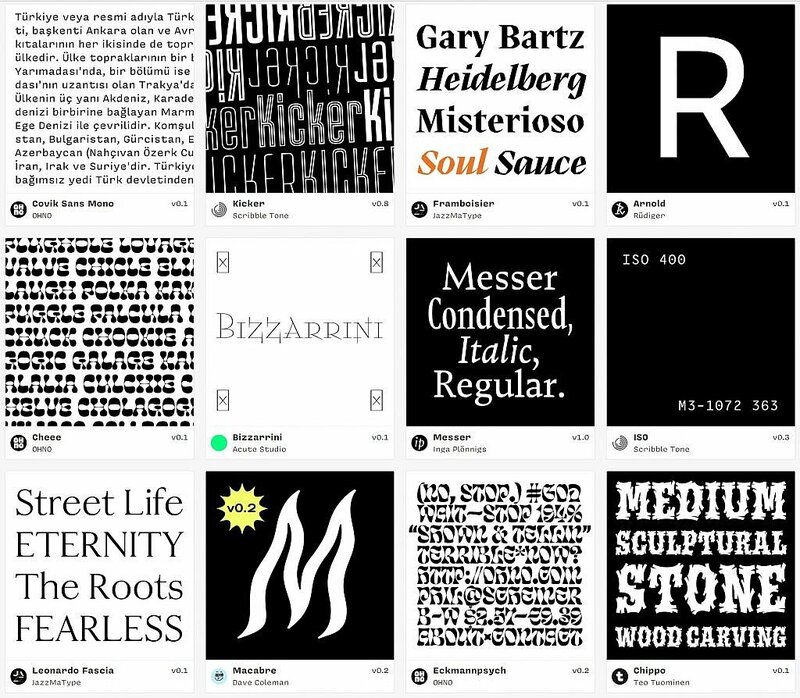 If you’re a font designer looking for a foundry, you can submit your drafts to Future Fonts. The foundry checks your draft and decides if its quality fits in with the rest of the supply. By the way, Future Fonts does not force developers to complete a font. In theory, a font can stay in version 0.1 permanently. However, most font designers feel the need to complete a font, partially due to the community feedback. In any case, checking out Future Fonts is worth it – whether you’re a buyer or a font designer.